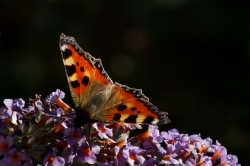 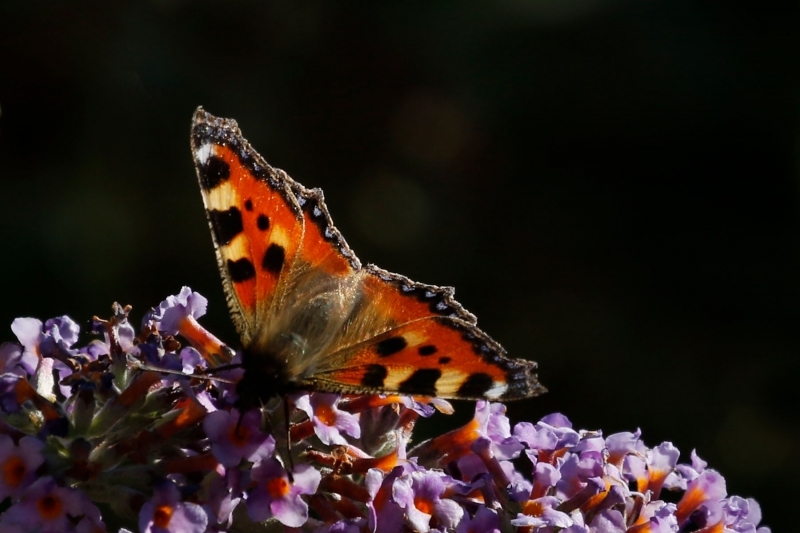 Small Tortoishell At Last in Four Marks. 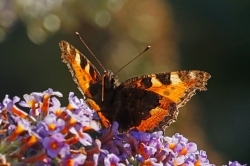 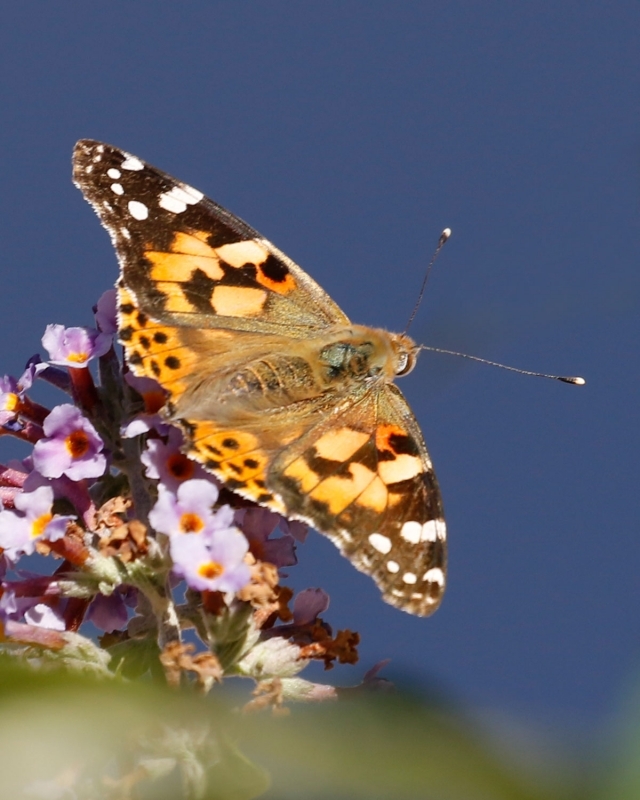 After bemoaning the fact that a Painted Lady was not a Small Tortoiseshell yesterday, my luck was finally in. 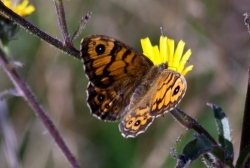 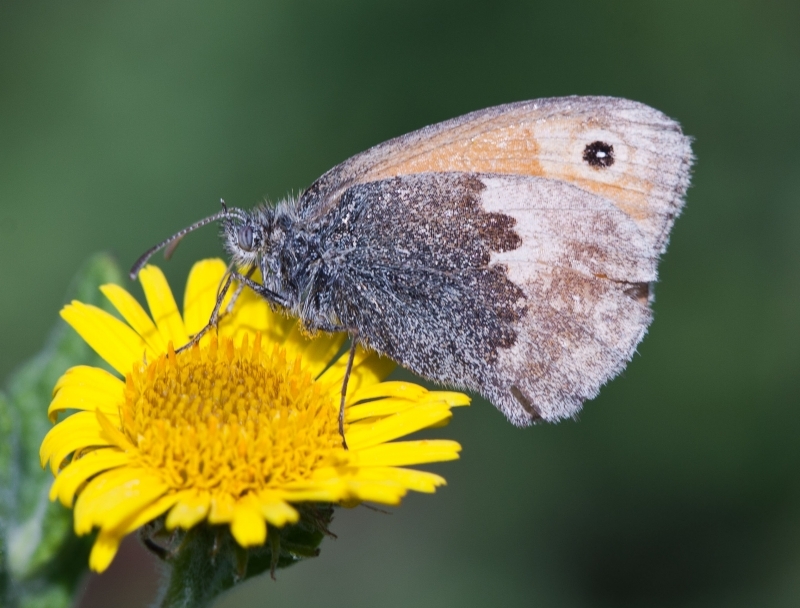 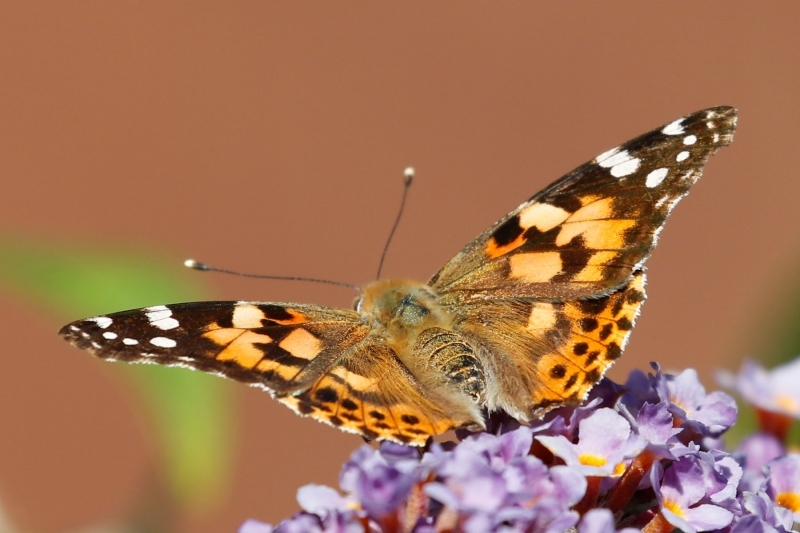 Bizarrely I have had more sightings of Painted Lady, Clouded Yellow and the said rarer butterflies in Hampshire this year than what was considered to be one of the more plentiful. 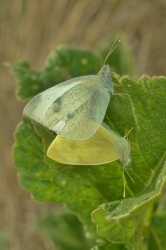 My first for the year, things must really be bad for them. 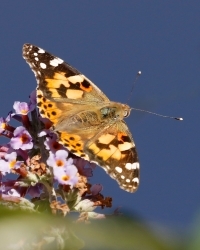 Painted Lady in Four Marks Garden. 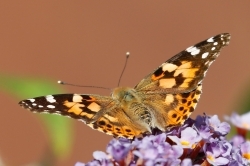 The headline looks like something you would see in a tabloid newspaper, the reality was though, the first sighting this year of a Painted Lady in my garden. They have been regular during September over the last few years when the sun is out on the buddleia, and it was nice to see one, but not really a surprise late afternoon, along with two Red Admiral it spent a good hour nectaring in between sitting bolt upright to get the late sunshine. 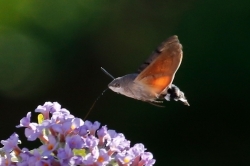 The day before (24th) there was a Hummingbird Hawkmoth on the same buddleia. 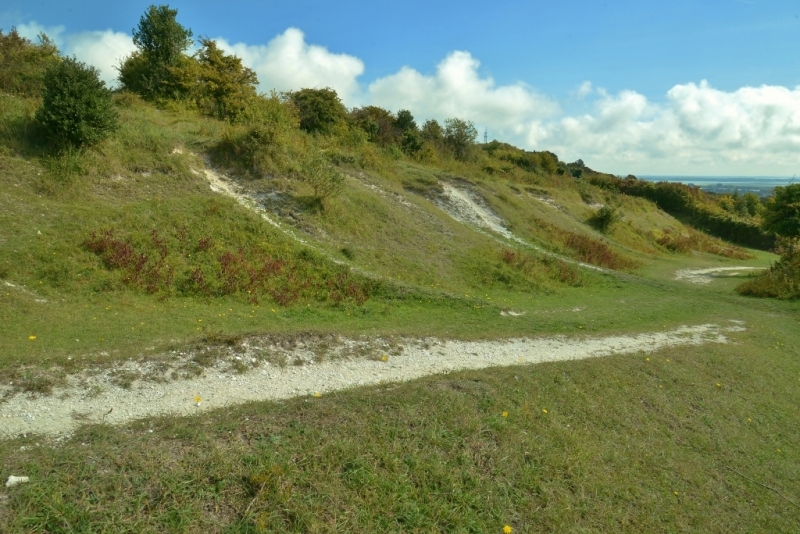 Portsdown Hill and The Forts. Today with the weather sunny but with a strong breeze, I visited Portsdown Hill where the temperature reached 16 degrees. 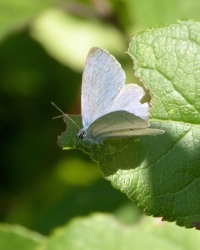 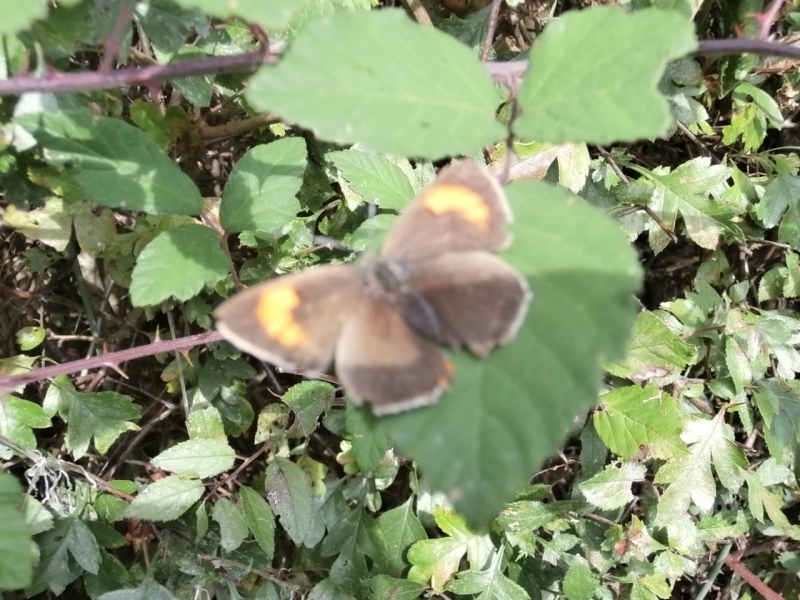 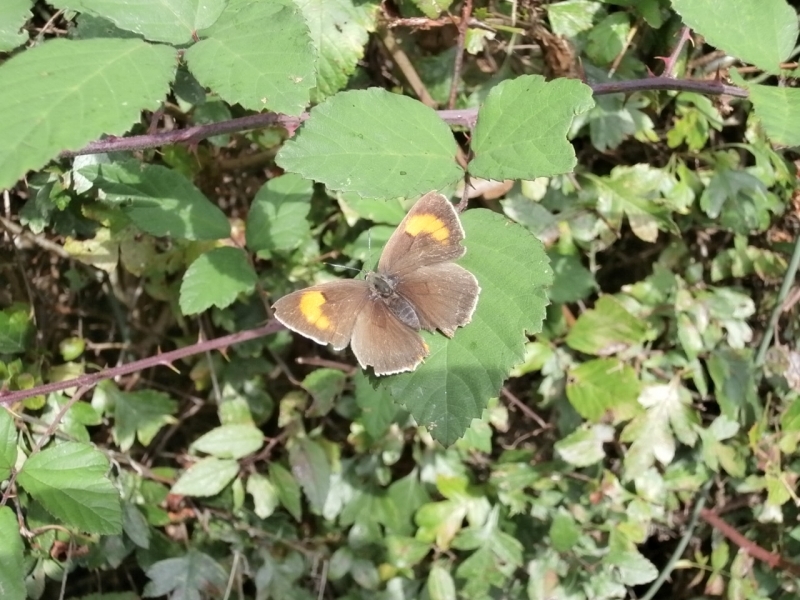 Along the path directly behind Queen Alexandra Hospital (SU657063) I was pleased to see and photograph a Clouded Yellow busy feeding, while a few Large Whites and Common Blues were flying further on. 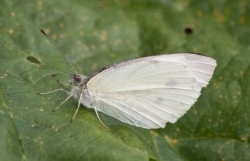 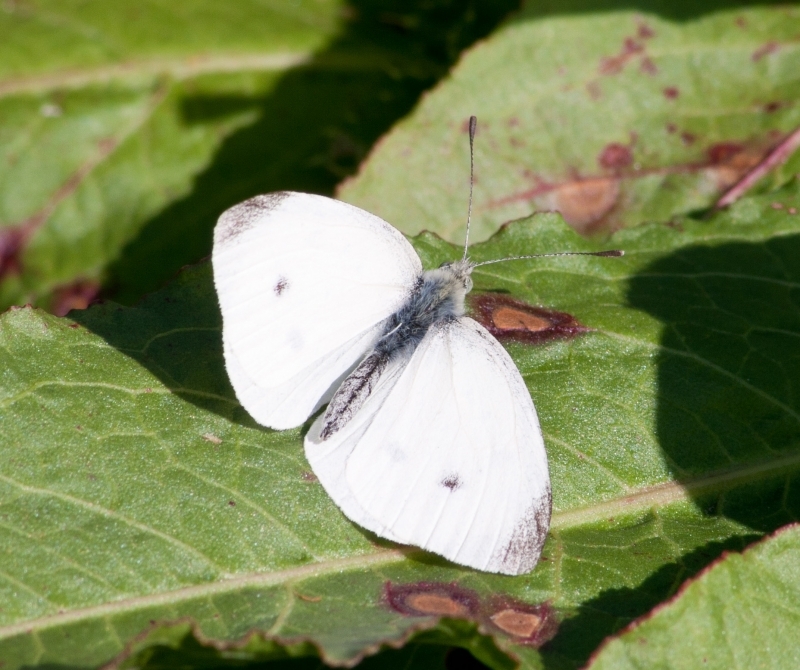 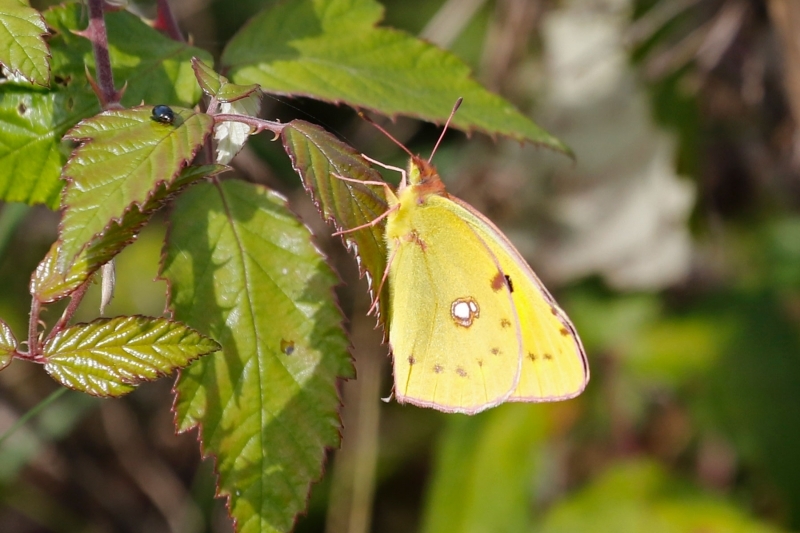 Totals: Large White 4, Small White 1, Clouded Yellow 1, Common Blue 4M. 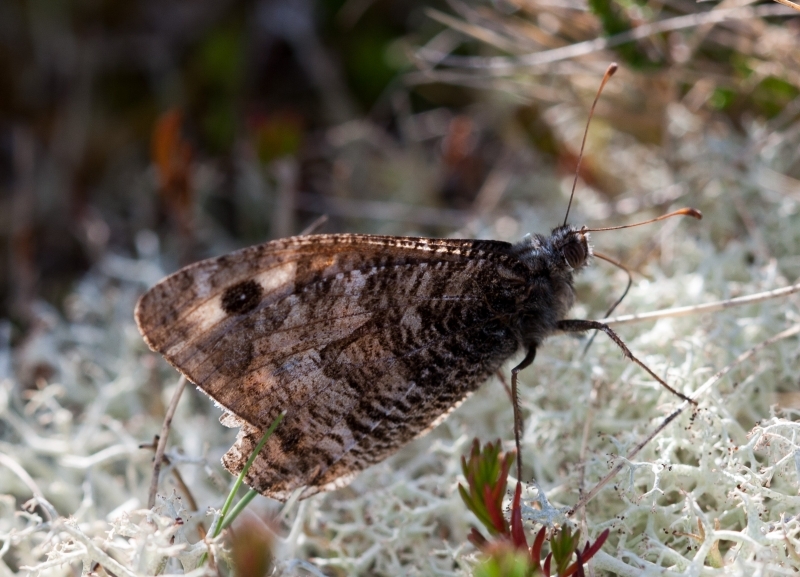 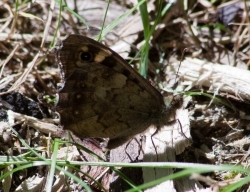 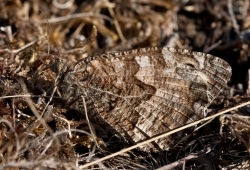 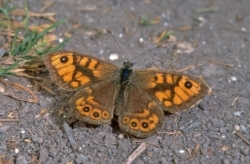 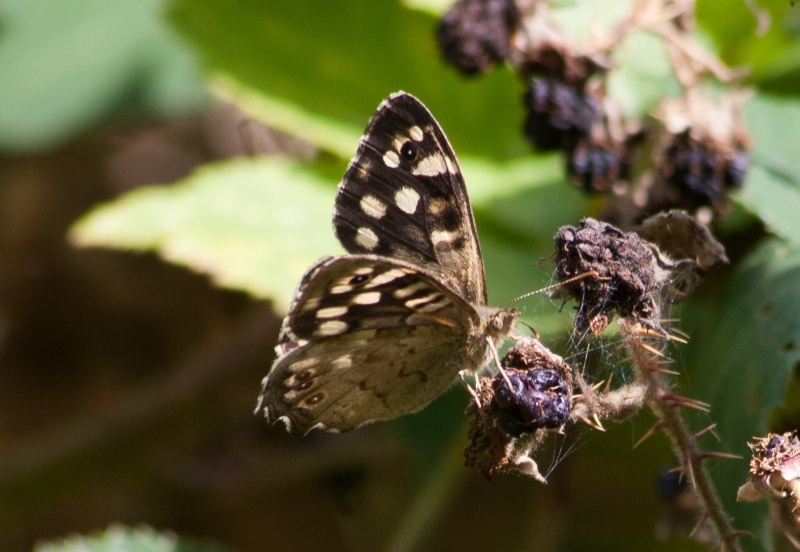 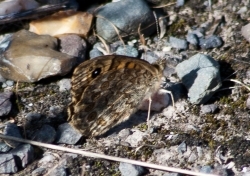 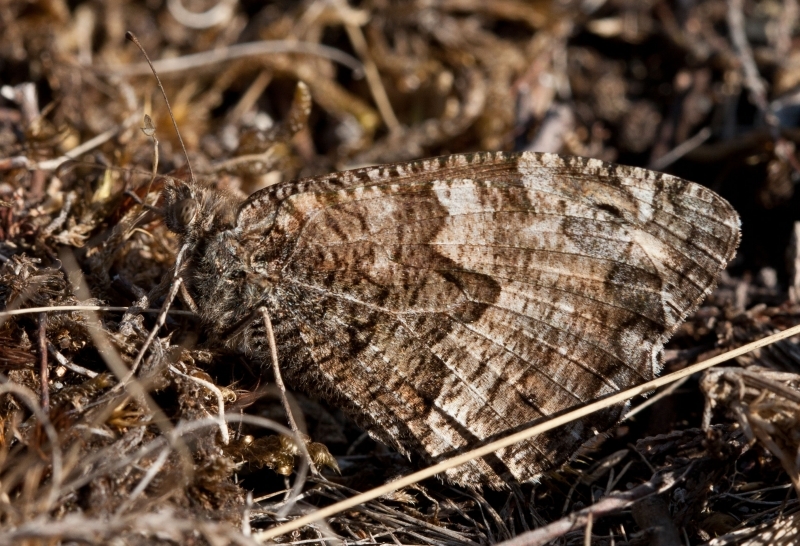 Across the road at Fort Widley (SU657066) there was a strong wind and a dissapointing count of just 5 Speckled Woods. 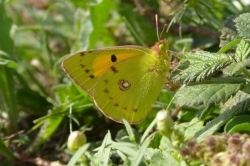 Clouded Yellow at Farlington Marshes. 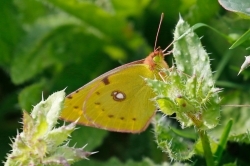 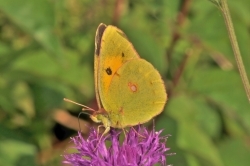 A Clouded Yellow was present on the eastern sea wall at Farlington Marshes just after midday. It followed the sea wall south stopping frequently allowing good views. 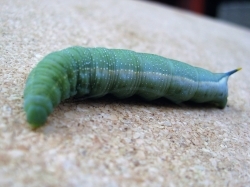 Last seen heading across the Deeps south. 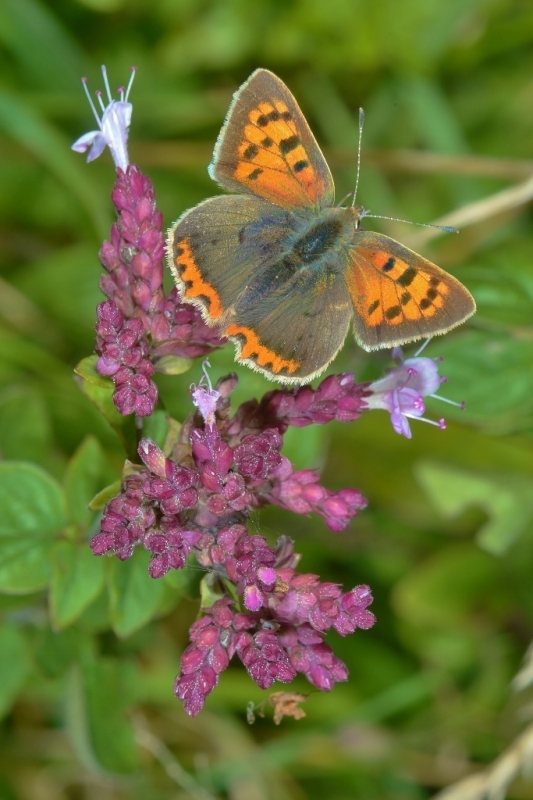 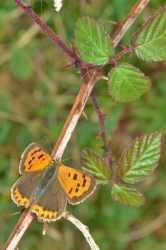 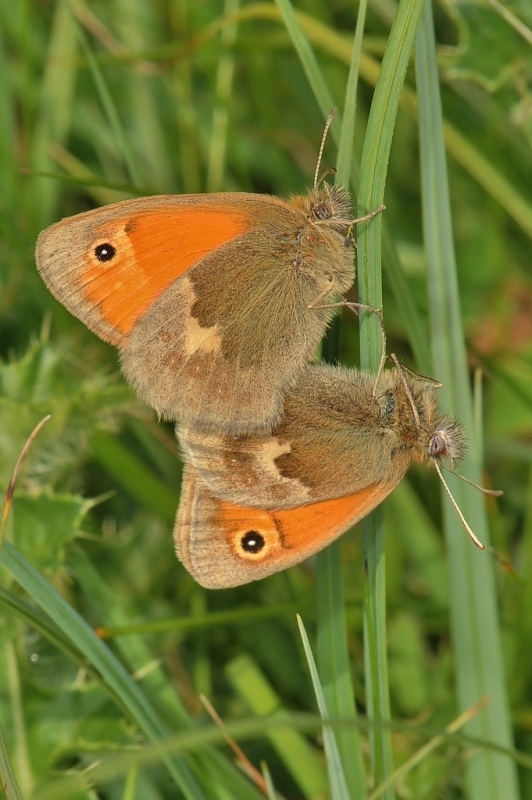 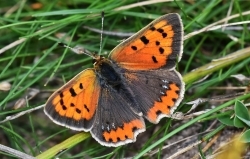 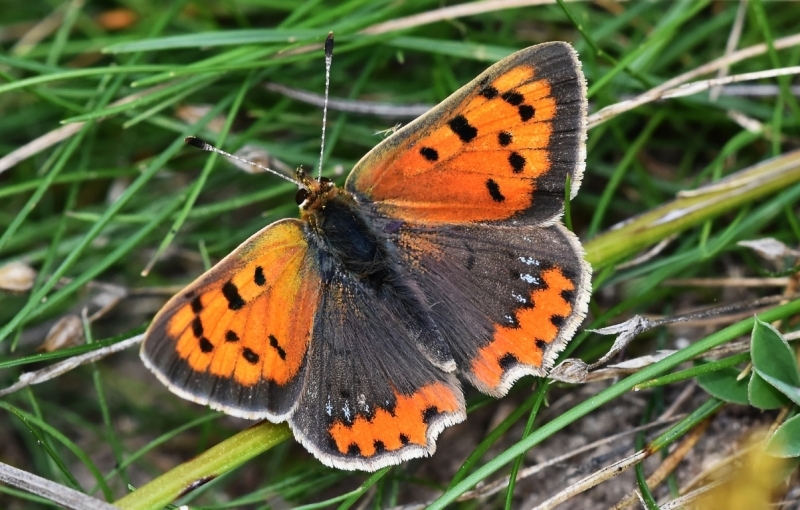 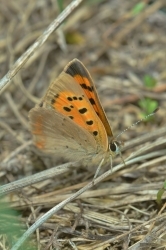 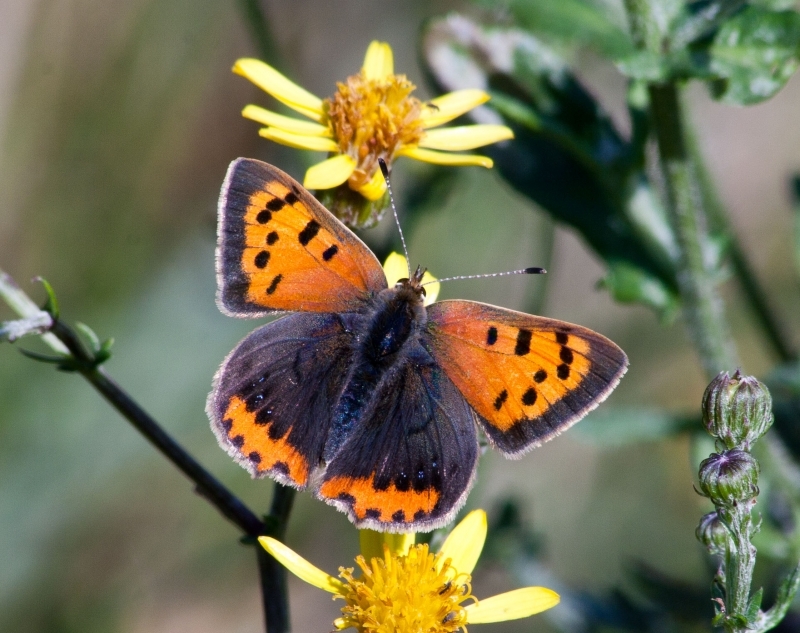 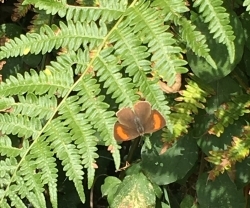 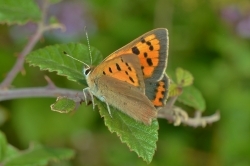 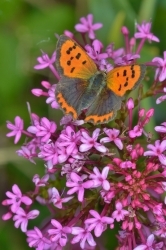 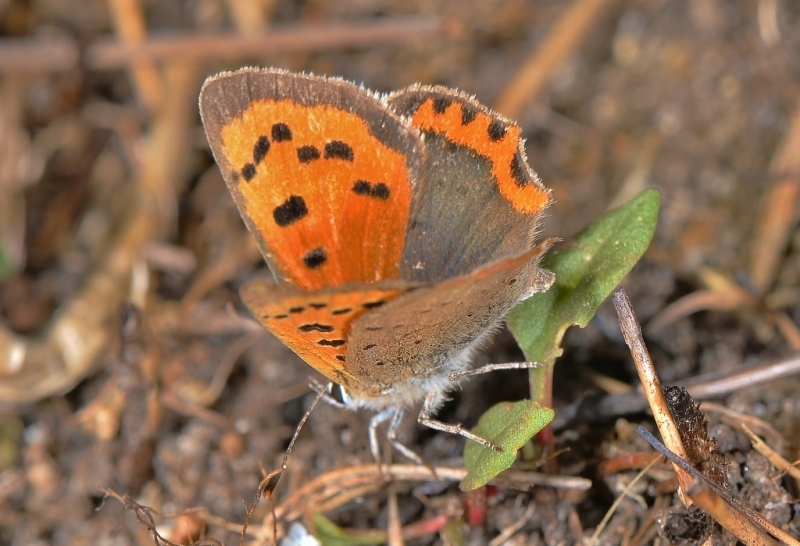 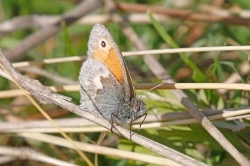 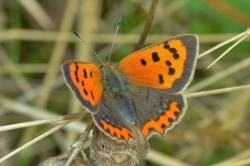 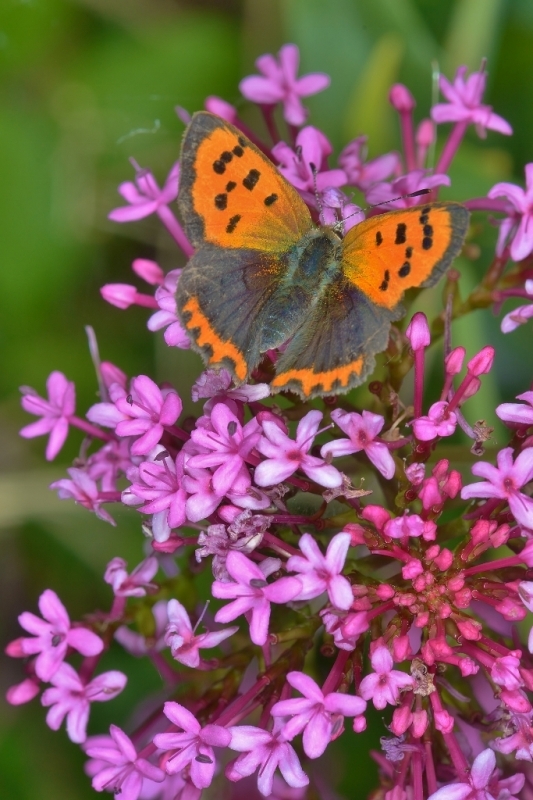 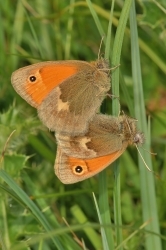 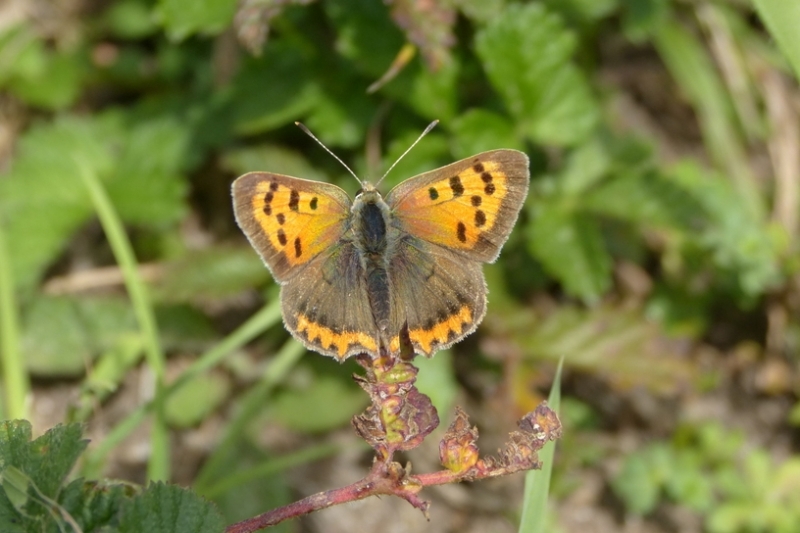 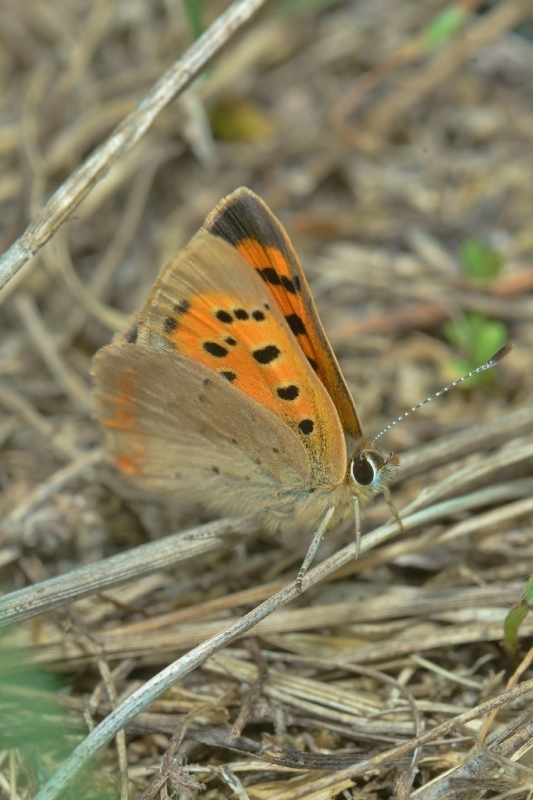 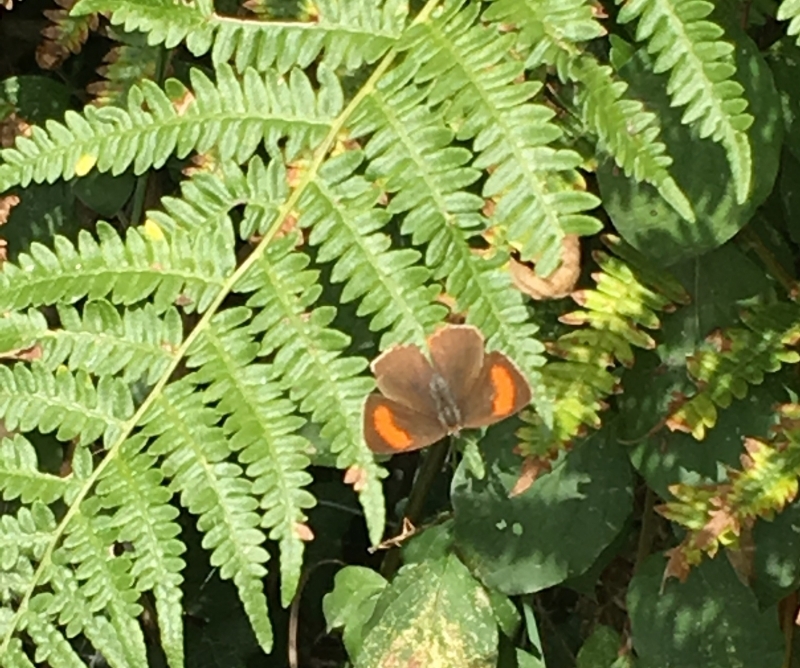 Also present was a Small Copper and Small Heath. 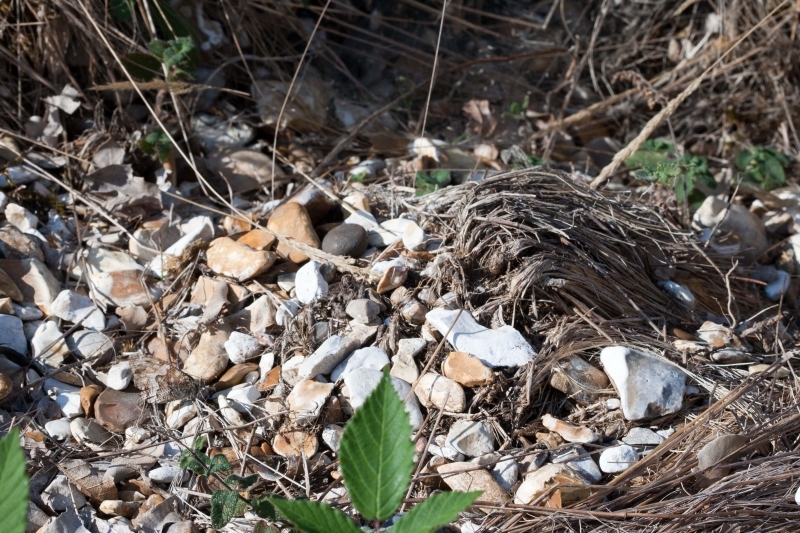 Photo © Francis Plowman Egg-laying? 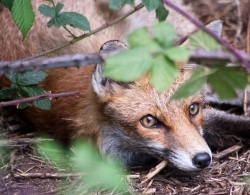 Photo © Francis Plowman Foxy! 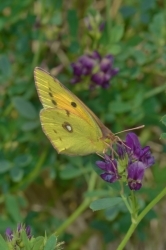 Very much alive. 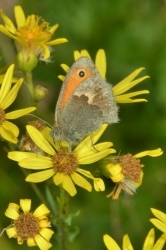 Photo © Francis Plowman Grayling No 3 and habitat. Portsdown Hill. 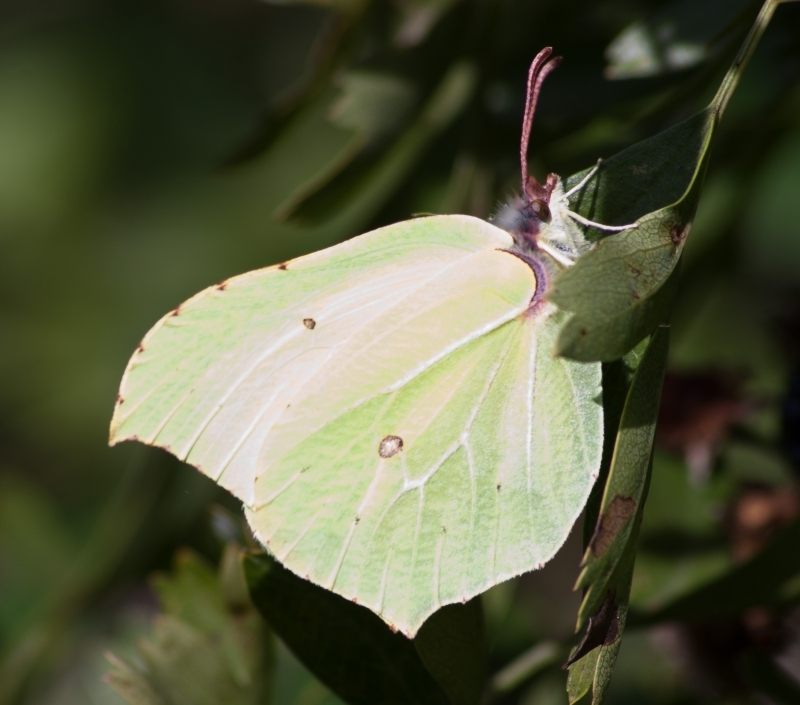 I took advantage of the beautiful start to the month and decided to make what is probably the last venture after adult butterflies of the year. 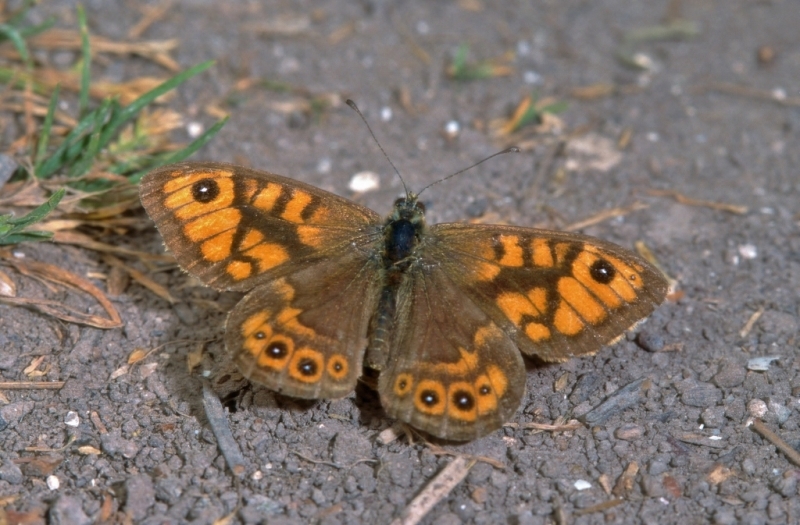 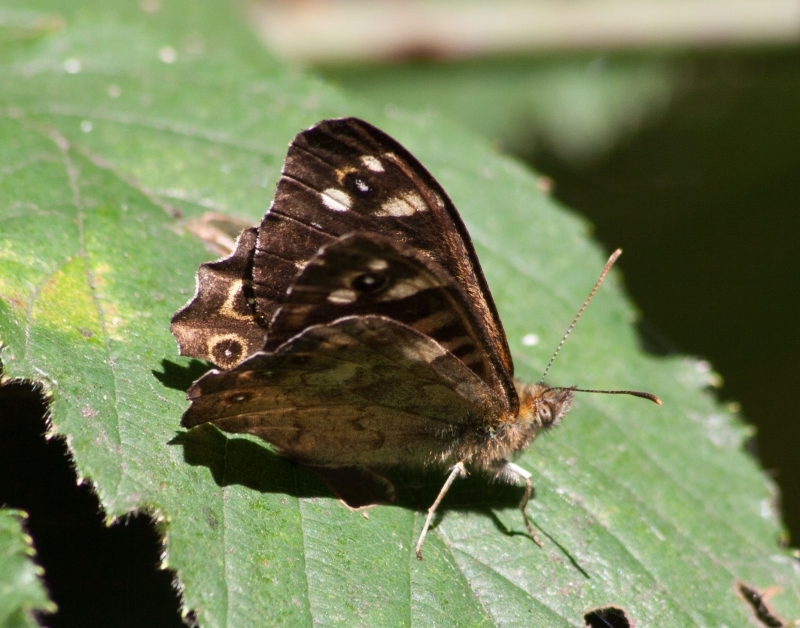 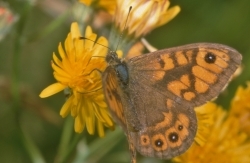 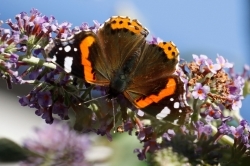 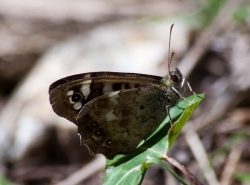 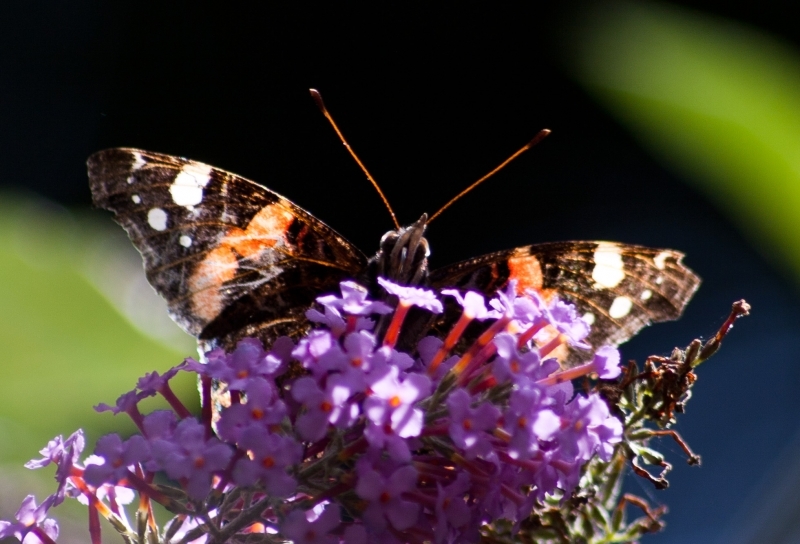 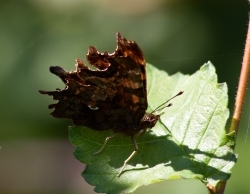 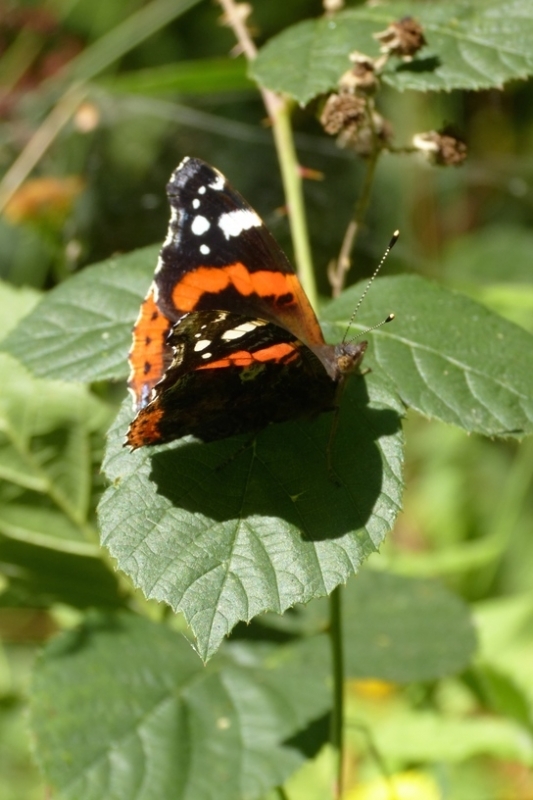 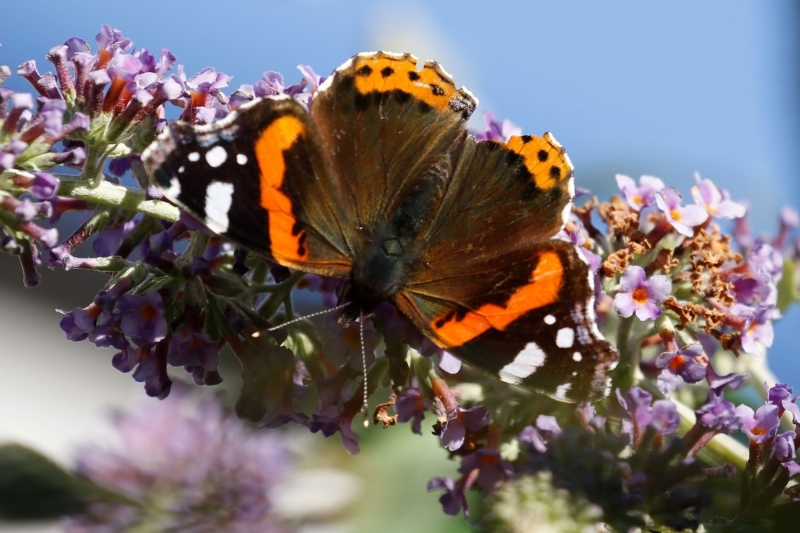 I started well in my garden in Farlington with a Red Admiral, Large White and a Speckled Wood. 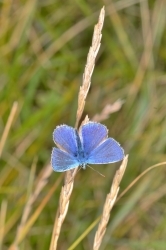 Old Winchester Hill NNR Field Trip. The penultimate field trip of 2018 and it turned out rather well, with everybody gathering in the car-park at 1030. 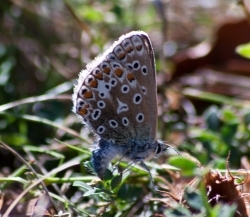 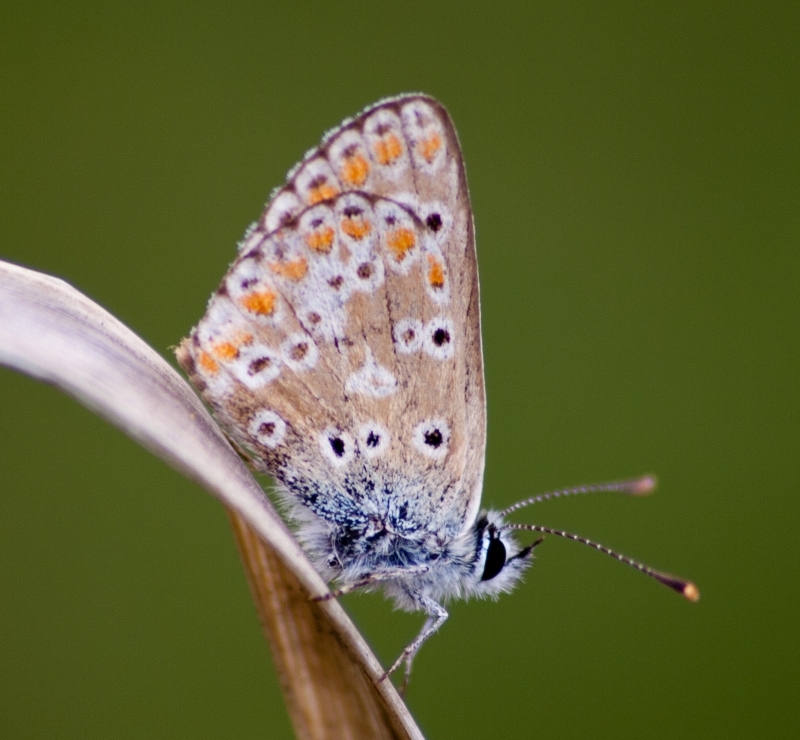 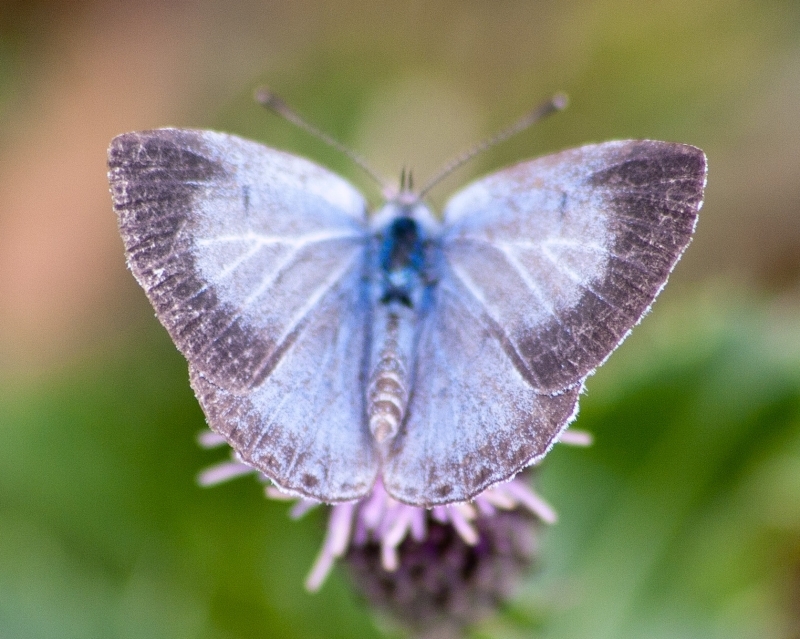 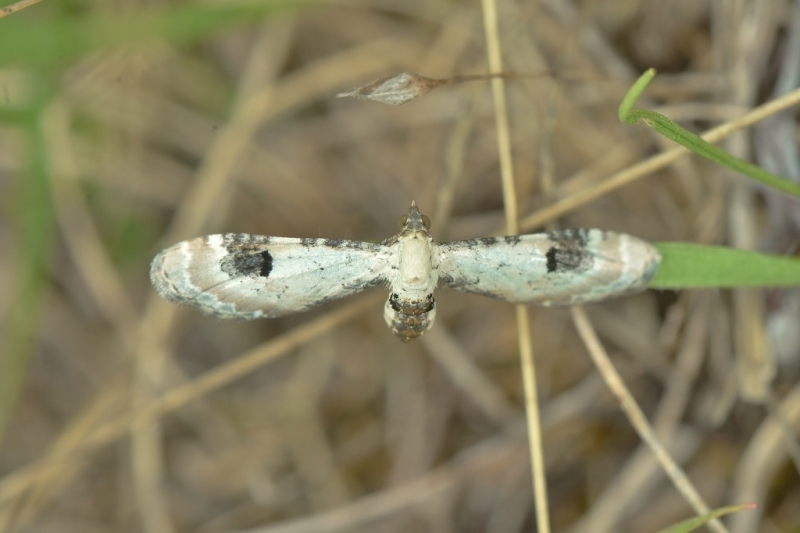 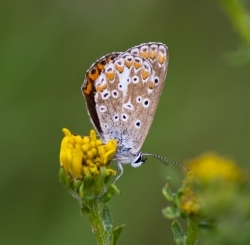 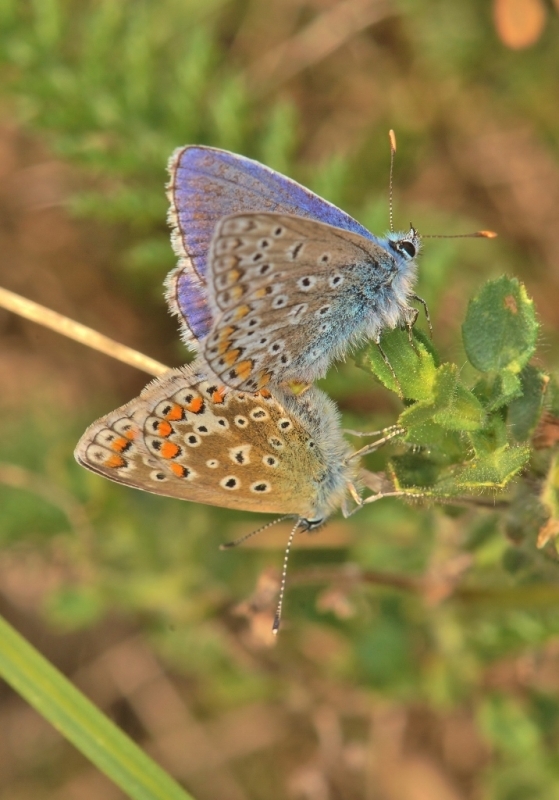 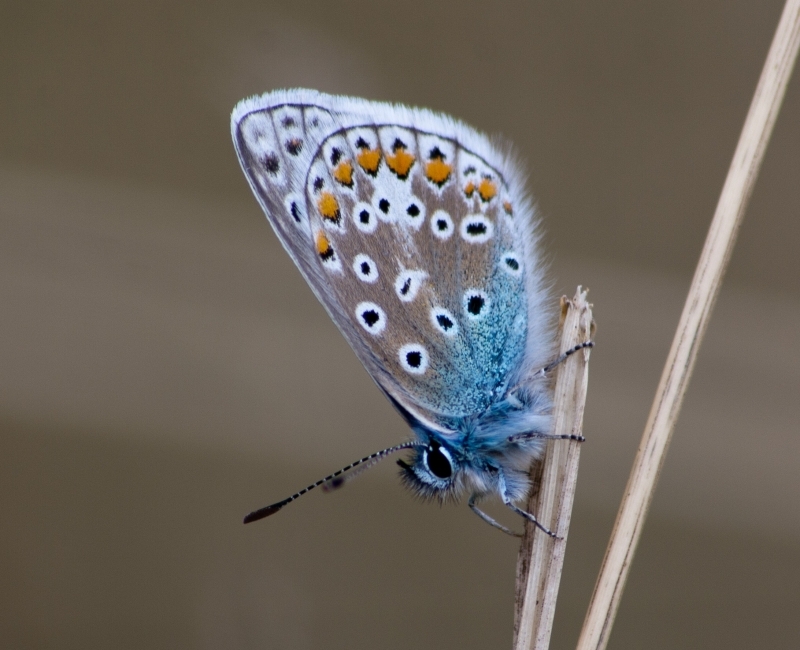 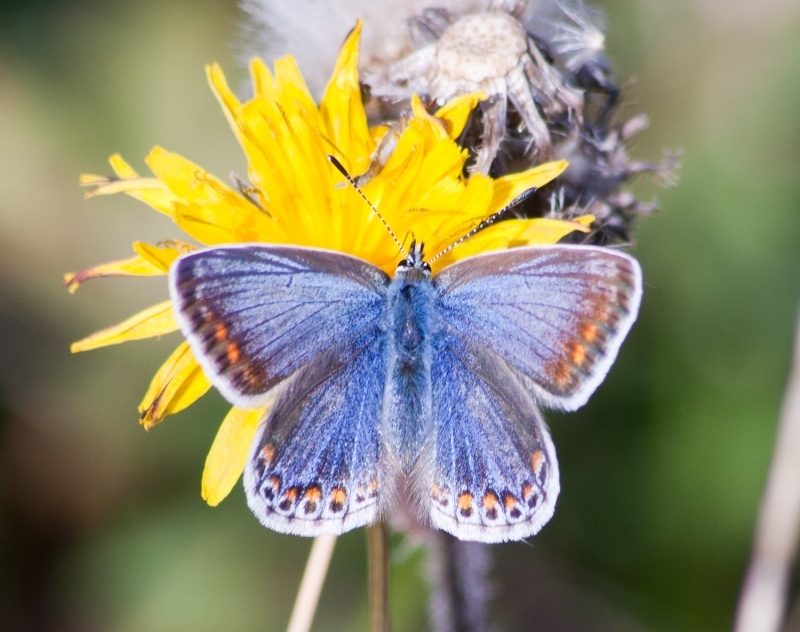 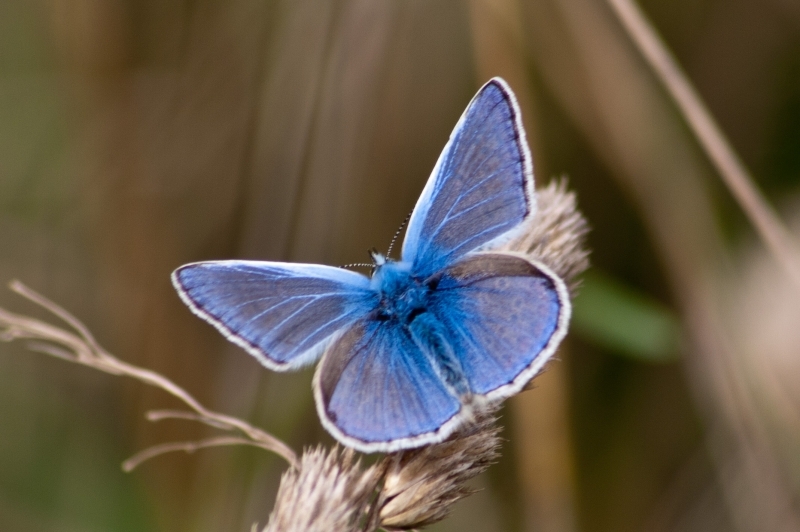 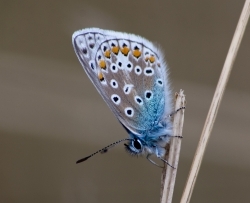 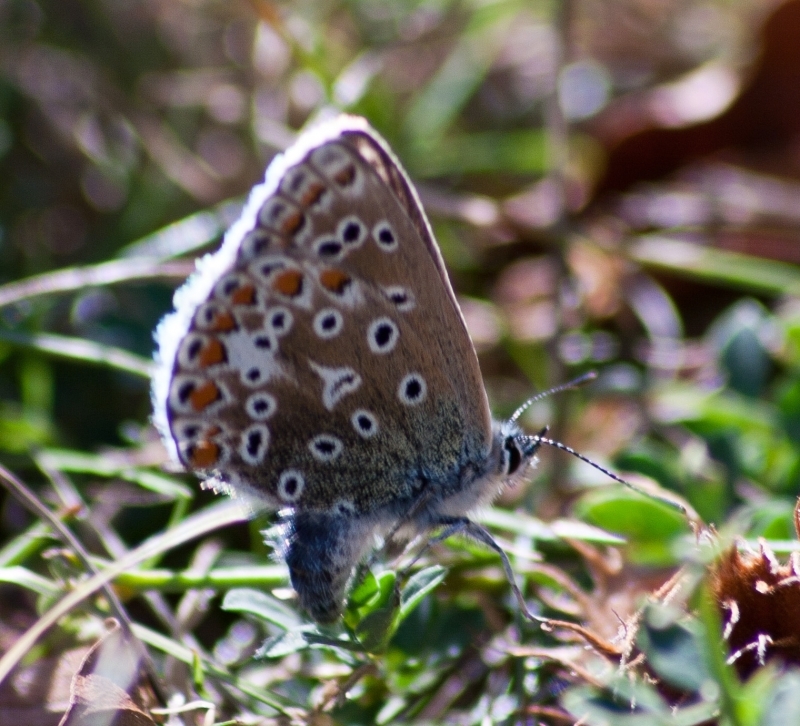 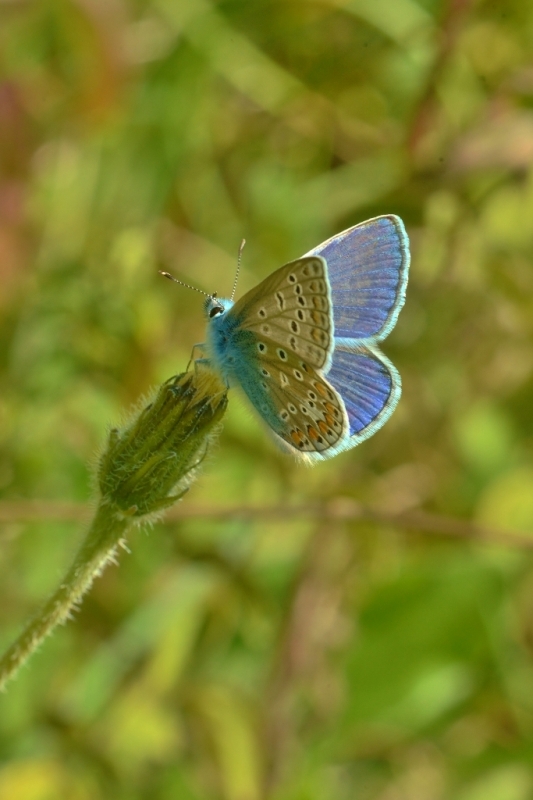 I had already been on site since 0830 and had counted (20) Adonis Blues with their wings open sitting on the dewy grasses like little badges such beauty, they look a lot better very early on in the morning. 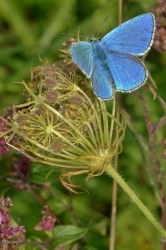 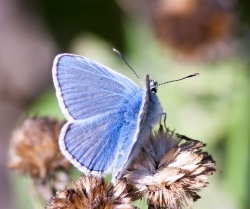 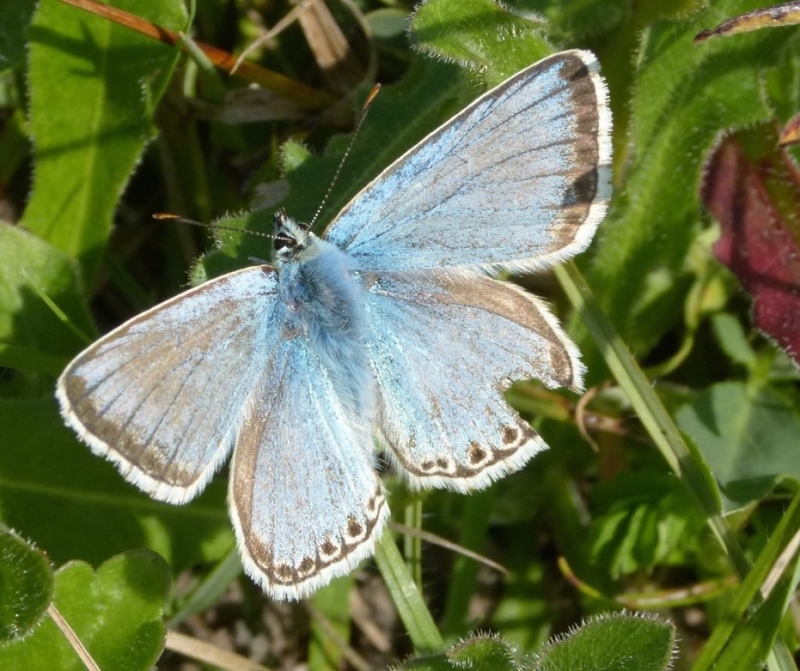 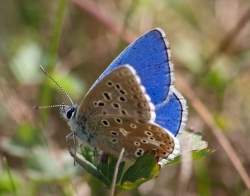 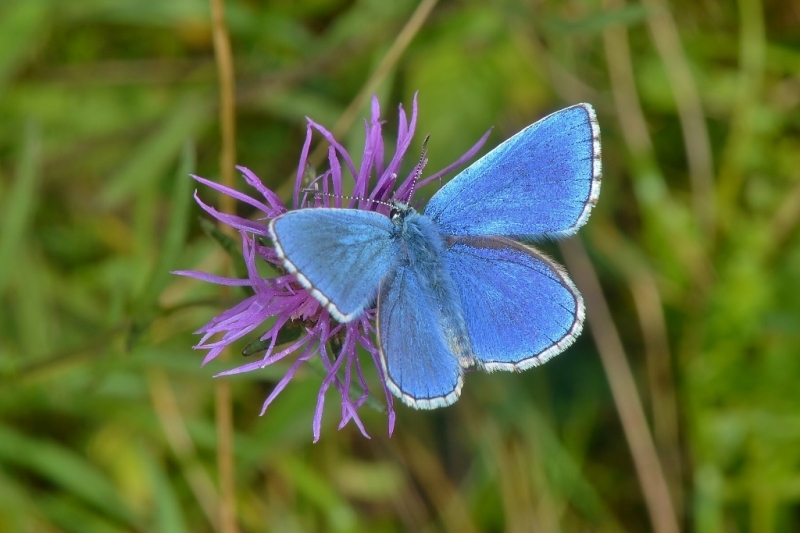 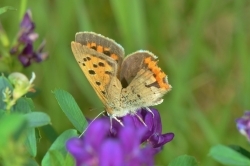 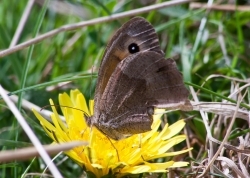 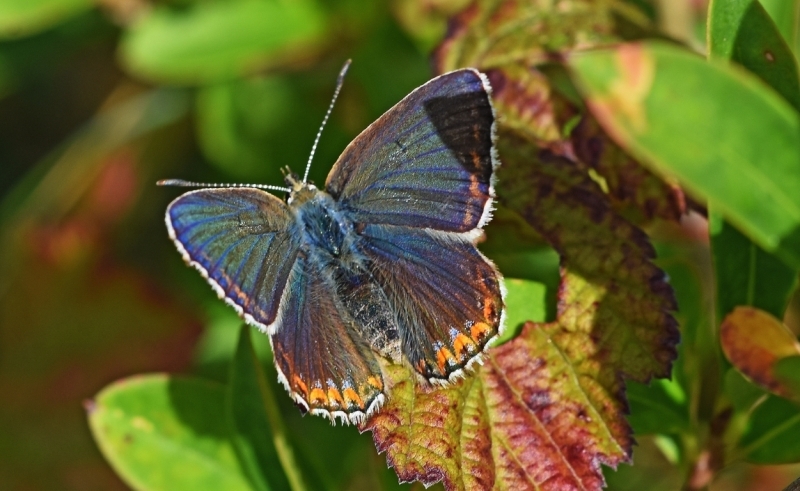 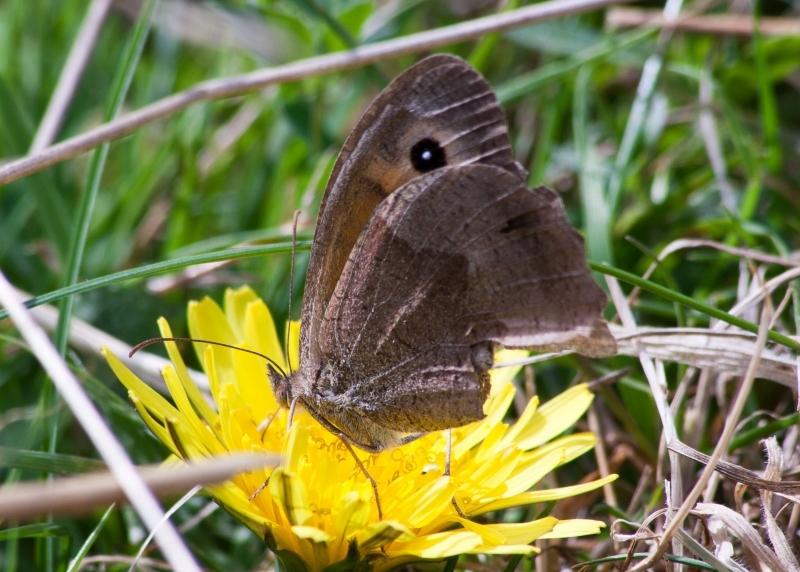 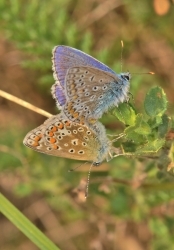 We walked around to the south side of the hill-fort and counted very good numbers of Adonis Blues again flying frenziedly in the warm sunshine.We had a quick glimpse of a Clouded Yellow, but it went over towards the farmland, and we never saw it again. 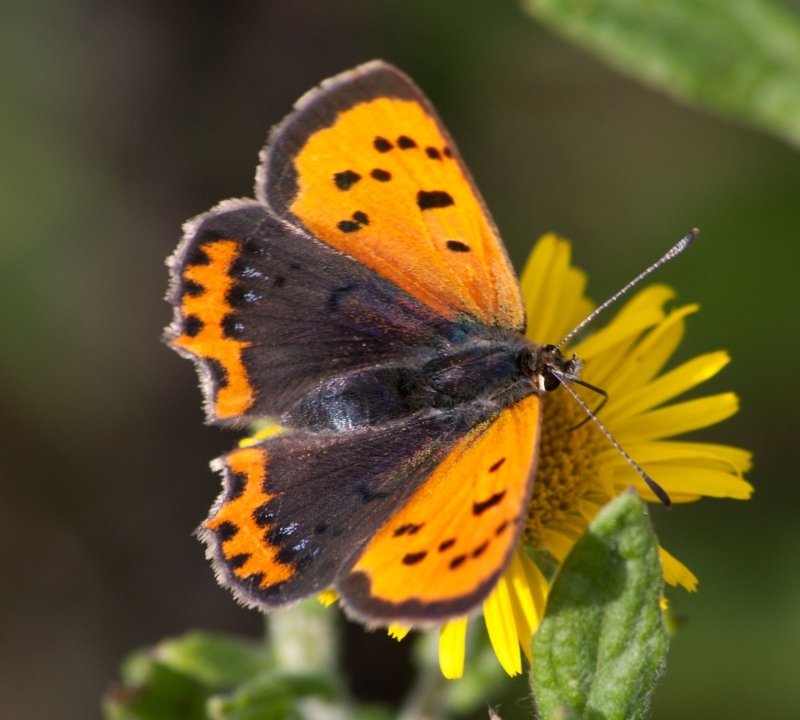 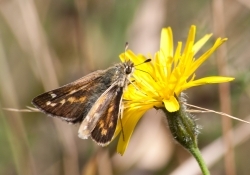 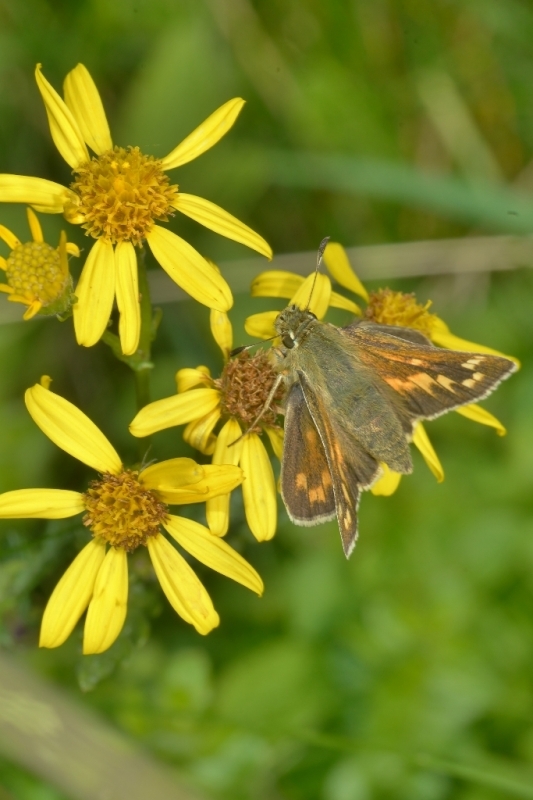 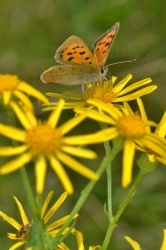 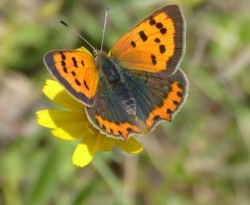 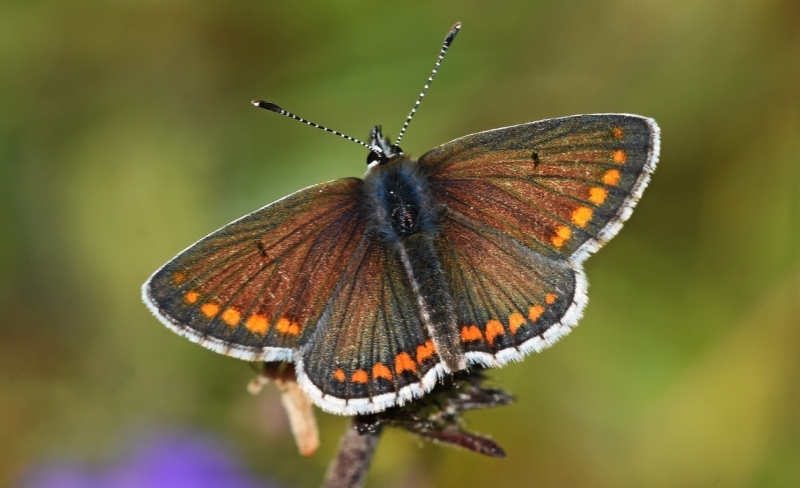 The Hill fort vegetation also had good counts of Silver-Spotted Skippers, and several rather splendid Small Coppers one a lovely female feeding on many of the flowers adorning the slopes. 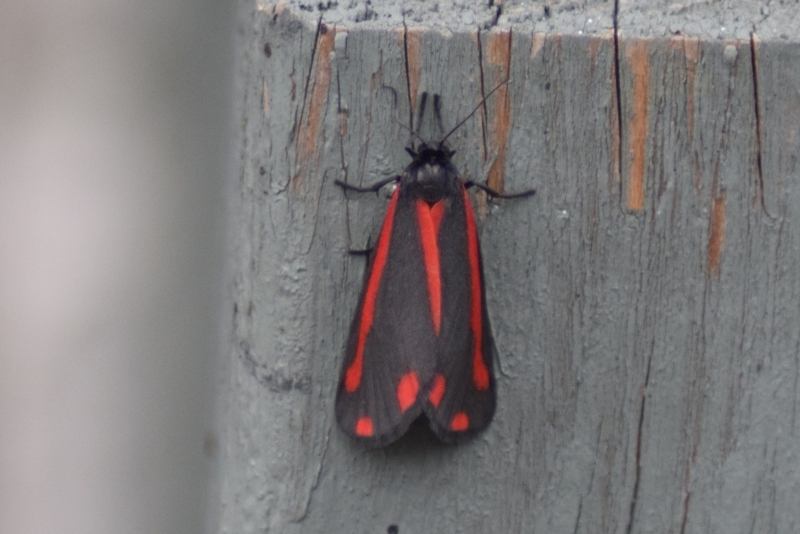 We had (11) species in total today a great success, with all target species being seen. 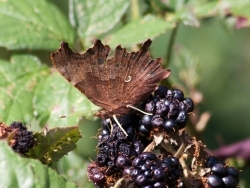 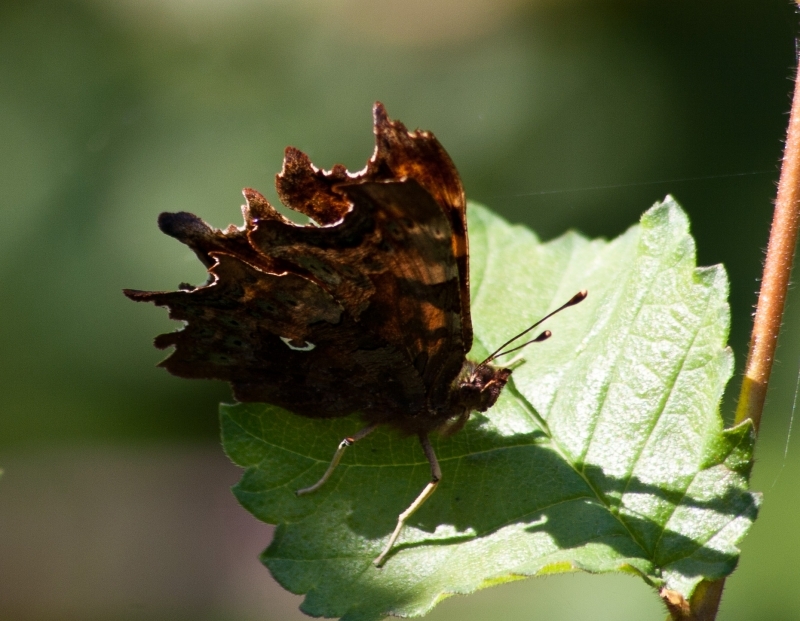 Photo © Francis Plowman Comma at lunch!